Recruiting often gets put on the back burner at many companies and I understand why. When things are going great for your company, hiring often is an after-thought. 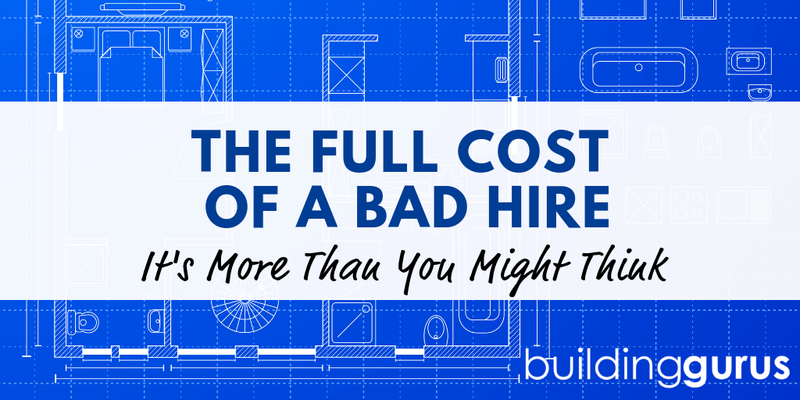 And when you have to hire in a flash, recruiting can seem like a waste of time. Either way, recruiting may not be the first thing you think about when I say hiring. Or, it might scare you. But, recruiting is simply sales and marketing – for candidates. If you can sell residential building products or figure out your target market, you can recruit! When you are busy, you need quick and easy recruiting techniques you can make use of. Social media is used by millions – if not billions – of people around the world daily. If you want the quickest way to potentially reach the biggest audience, I would look to social media. It is a powerful tool in your hiring arsenal and most of the time, it is free or really cheap to use. You'll spend hundreds or thousands on print ads without a fraction of the reach of a free tweet or post. It is generally user-friendly, quick to set up & implement and you can post a lot pretty quickly. Ideally, you already are on the big name social media sites and have been building an online presence for your company. If so, you are almost done. Just write up some super compelling job ads and posts and get them scheduled. Most allow you to schedule well in advance and I'd recommend you spend some time figuring out peak posting times and schedules. Aim for at least 4 times per day for a period of time. Due to the algorithms all social media platforms use, this should give you a pretty good blanket of showing up in feeds and timelines. You probably have a pretty good following of passive candidates already, so put this to use. If you don't want to use every social media platform, I'd recommend LinkedIn for the best results. Make sure to post on your personal profiles, business page and in appropriate groups. Maybe at the time, they weren't the best fit – but past applicants can turn up some good leads. If you've made great notes and used RYG in the past, you probably know exactly who to reach out to. Hopefully, you haven't burned bridges and treated the candidates with respect. If so, they might welcome another chance at your company. Or, they may think highly enough of how you demonstrated your employer branding that they recommend others. I wouldn't go back past a year, but it might be worth a chance to see if someone who wasn't a good fit before might be exactly what you need now. Develop and maintain a strong employee referral program if you want to tap into one of the best methods for finding great candidates. Employees care about who you hire and most are not going to recommend a dud. By rewarding them for finding your next great hire, you'll have hundreds of people thinking about your hiring needs at any given time. There are many resources in your community that you can potentially tap to find great candidates. Your state or local Job Service can provide details about average salary and hiring assistance. Develop relationships with universities and mentoring/training programs. Stay active in networking groups and make sure you have a wide net of connections. Make connections with licensing boards, training centers and specialized groups that pertain to your business. Look at veteran's groups or any organization that helps a particular group of people find work. Maybe you have bad feelings about recruiters or aren't sure what they are all about. Either way, sometimes you need an expert. If you find and hire the right recruiter, they will make your hiring life much easier. They will usually be quicker, more flexible and able to find more passive candidates than most companies can. Expert recruiters know your industry, understand your needs and can mobilize very quickly. If you need your next hire to be exactly right and fast, consider recruiting firms as a hiring partner. There are many methods for finding great employees. But, when time is limited you'll get success using these quick recruiting strategies.